When the temperatures goes up above 70, and it’s fun to enjoy the afternoon Sunshine in the garden. But our patio set is getting dull totally after a long raining season here. And I am trying to get someways to make it shine again. 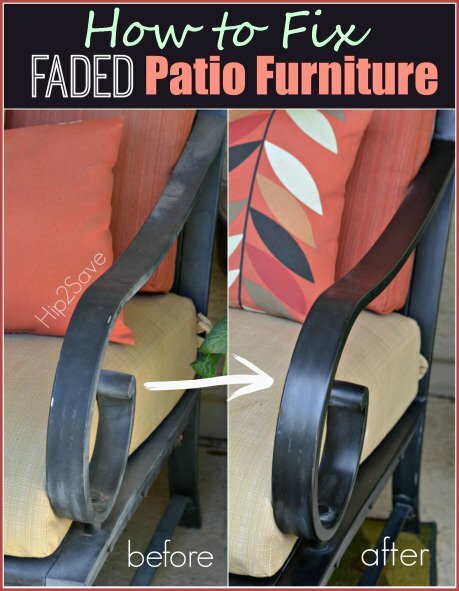 Luckily I came across an article by Lina from Hip2Save to use a common household item to revamp my aluminum patio furniture in no time. from Amazon, which comes with sponge itself, and it’s on sell, too.